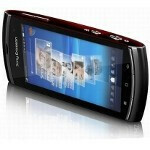 Sony Ericsson Hallon/Vivaz 2 to be introduced as Xperia Neo? There is pretty much a universal agreement that we're going to see the Sony Ericsson Hallon (a.k.a. Vivaz 2 and MT15) during MWC in Barcelona, but what's not so certain is the handset's commercial name. Now, however, this is probably no longer true, since a rumour is going strong that Sony Ericsson has dubbed this much anticipated handset the Sony Ericsson Xperia Neo. We guess this phone is fairly familiar to you as it has made a few unofficial appearances (you can read about them here and here), and it is set to offer a 3.7-inch screen and a resolution of 480 x 854 plus the Bravia Engine, an 8MP camera and the same Qualcomm processor that powers the HTC EVO Shift 4G, only clocked at 1GHz. Probably best of all, though, is that the Sony Ericsson Xperia Neo is set to retain the Vivaz look, launch with Android 2.3 and have a front facing camera. It's highly probable that this promising handset will be joined on the MWC scene by another much-anticipated Sony Ericsson phone - the XPERIA Play (a.k.a. the PlayStation Phone). For these reasons, and many more, stay tuned to PhoneArena, as MWC is only 2 weeks away, and we will be there to tell you all that's happening during the Mobile World Congress. Let's hope it's not as thick as the Vivaz..
You got that right Messiah!! I happen to be one of those x10 customers and i'm disgusted by SE and at&t to say the least.